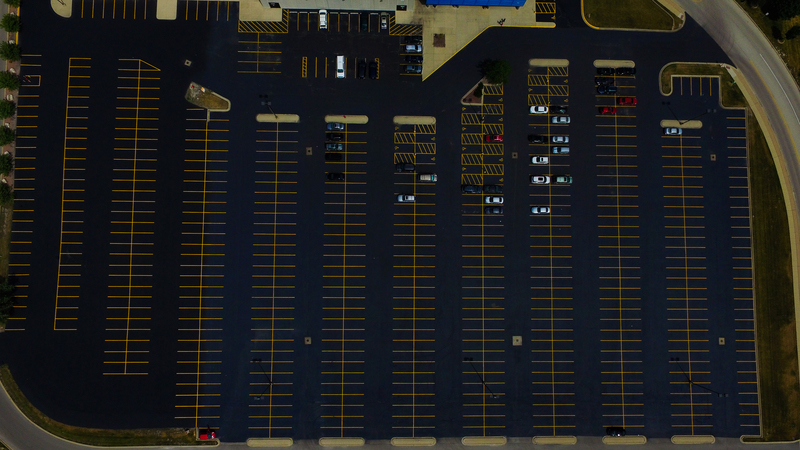 Pavement Solutions implements pavement management planning for our customers in order to be proactive about maintaining the parking lot, which exponentially stretches maintenance budget dollars. By planning for maintenance in a routine fashion, property managers are reducing the possibility of any related liabilities and last-minute emergencies. Which means that with one of our routine plans, the property owner is able to take charge of any pavement maintenance issues, instead of scrambling to fix everything after the damage has already been done. This method shows that the timing of necessary repairs is equally as important as the repair procedures themselves. Pavements that are in different conditions, obviously require different types of maintenance and repairs. The specific procedures may be minor routine maintenance or absolute reconstruction, all depending on the individual lot’s condition. Each procedure that we use has an associated life cycle, level of pavement condition improvement, and cost. An estimator will take a physical inventory of the specific parking lot. They will make sure to especially focus on areas of heavy automobile/pedestrian traffic, the lot’s entrances/exits, delivery zones, dumpster zones, and drainage methods. Any and all flaws in the pavement are noted, such as: depressions, cracks (by severity and type of crack), and holes. This step identifies the pavement condition of each section of the pavement. The defects and recommended repairs are ranked from the most to least cost-effective (in the long-run of the lot) to repair. For example, repairs in a high traffic area will take priority over other isolated repairs. According to the individual goals and funding of each property, the strategies are adapted with given alternatives. This is based on the repair strategies, whether it be preventative, structural maintenance, and/or time-sensitive. Then, the future pavement condition and the costs associated with procedures are determined in order for the client to reach the desired outcome of their lot. If needed, we will provide the client with a detailed map of the plan (shown above). Based on our suggested order-of-operations for the repairs, work schedules are compiled, according to priority and budget. The Pavement Solutions teams will then get to work ASAP to carry out al maintenance and rehabilitation procedures stated. Once a plan is set and we have gotten to work on it, the condition data is collected and updated on an annual basis to monitor and ensure that pavement maintenance planning strategies are producing the results that were predicted. Which also means that at any point, the strategies could be adjusted in order to tend to needs that were initially unaccounted for.